These pyjamas will make a cosy addition to their nightwear collection. 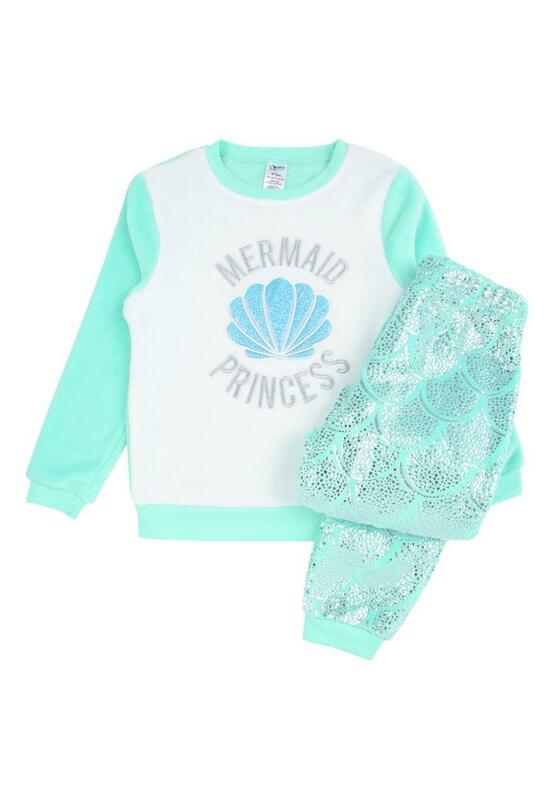 Containing a long sleeve 'Mermaid Princess' slogan top and matching silver scale bottoms, this fleecy set is perfect for bedtime. Also available in women's sizes so you can match with your mini me. Bought as a present, looks fine.